When BYJ became a Golf Caddie..
Bae [professional golf player Bae Sang-moon] entered the Par 3 Contest with popular actor Bae Yong-jun as his caddie. The two are unrelated but became quick friends following an introduction by a mutual acquaintance. 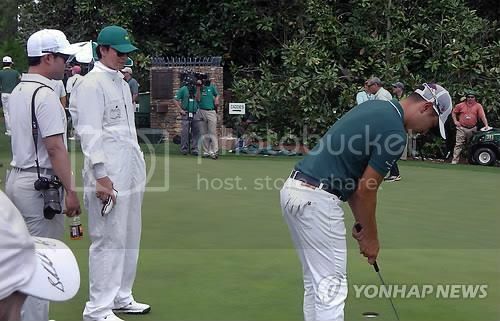 Bae Yong-jun was decked out in the signature white overalls for caddies here, along with a green cap and sunglasses. The celebrity is said to be a solid golfer with a single-digit handicap. 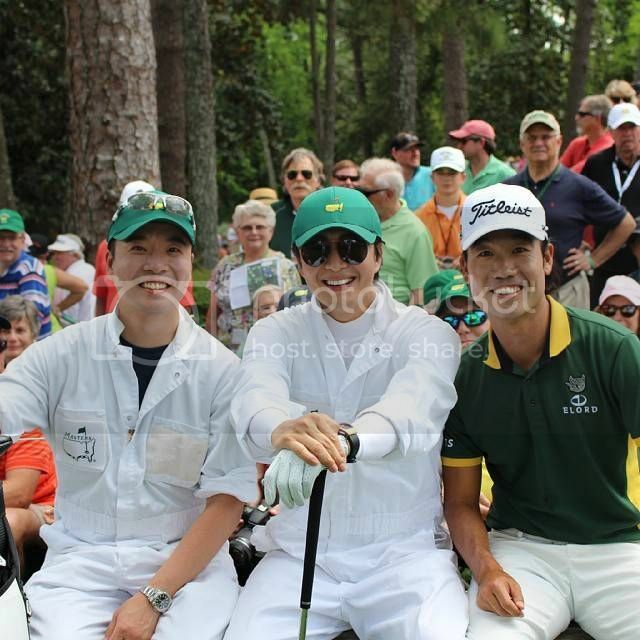 I'm glad BYJ got to enjoy the 2015 Masters Tournament at Augusta National Golf Club on April 8, 2015 in Augusta, Georgia. You can click HERE, HERE, HERE to read the news and to see more pics...including the pics that YJ ssi shared in Instagram ! Dear Donna...all eyes on the caddie !